Easter festival is the oldest and most important festival in the Christian calendar. It commemorates Jesus Christ's resurrection from death as written in the Christian bible. To culminates in the celebration that is Easter Sunday, which is a time when most of us get together with our families, share a meal and of course ate lots of chocolate ! So, here I am with my Little Angels attending the Egg-Citing Easter at Sunway Putra Hotel to hunt for their delicious food and also the eggs to celebrate an Easter Sunday. Sunway Putra Hotel celebrates the exciting Easter day with fun-filled children's activities and extensive dining selections for a family feast. From decadent Easter Hi-Tea to gourmet Easter goodies to satisfy monstrous sweet cravings. The Easter extravaganza hatches with a specially crafted Hi-Tea that features some of our favourites such as the Boiled Egg stuffed with Tuna Mousse and Roasted Chicken Breast with Mango Salad from the Appetizer and Salad counter, Creamy Wild Mushroom Soup and Braised Sweet Corn and Crab meat Soup from the Soup counter, Spaghetti, Fettucine, Shell Pasta served with a choice of Napolitana or Carbonara from the Pasta Counter and Aunstralian Roasted Beef Striplion with Mushroom Sauce and Baked Salmon in Puff Pastry with Cream Dill Sauce from the Carving Station. There are also local food favourites such as the Stir Fried Hokkien Mee with Seafood, Yong Tau Foo, Lamb Varuvel, Grilled Chicken, Beef and Chicken Satay. Fulfill your every sweet craving with home baked Hot Cross Bun, traditional Bread, Butter Pudding, debutante Apple, milk chocolate cake and a decadent Chocolate Fountain with fruits and marshmallows and many more. 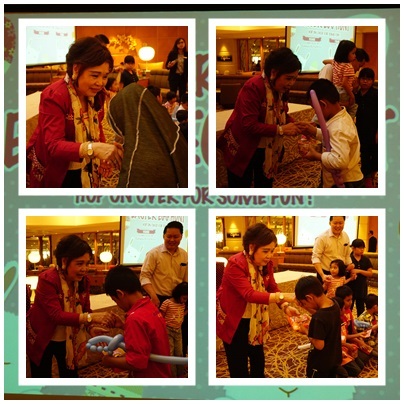 Children from the Yayasan Chow Kit (YCK) Centre were also invited to celebrate Easter Day. A day filled with laughter, fun and excitement to these kids aged between seven to twelve. The guests from YCK and other little guests which include my Little Angels had enjoyed a range of Easter themed activities such as egg hunting, face painting and entertainment by the clowns, during the Easter Hi-Tea. There are 5 winners for the Easter Egg Hunt and the winning child will walk away with cookie hampers and chocolates from the Hotel's Atrium Lounge. Sunway Putra Hotel takes this opportunity to wish everyone "A Happy Egg-citing Easter Day". For more information on dining reservations and promotions, please call 03-40409888 or email to dinesph@sunwayhotel.com. For exclusive and latest hotel offers and promotions, do follow them at their facebook at https://www.facebook.com/sunwayputrahotelkl/?fref=ts and instagram @sunwayputrahotel or you can log into their website at http://putra.sunwayhotels.com/. 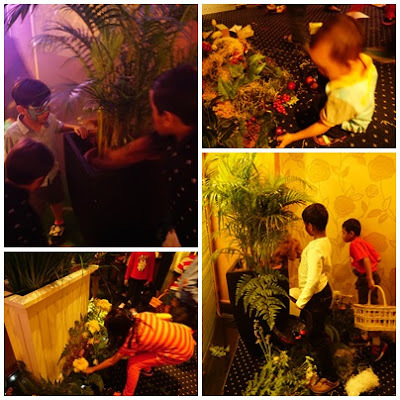 Thumbs up to the Sunway Putra Hotel for the Corporate Social Responsibility to give back to the society by making each and every children from YCK so happy having all the fun and the enjoyment on this special day. 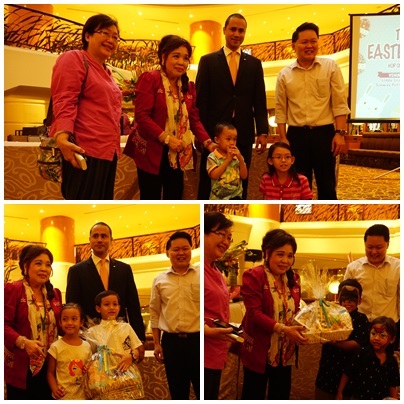 Thanks to Sunway Putra Hotel for the invitation to me and my Little Angels to joined the Easterific Sunday Hi-Tea. We had been pampered with the variety of yummylicious food on this Easter Day which include sweet desserts, chocolates, sweets and ice cream. My Little Angels enjoyed their eggs hunting too. A great Sunday to spend on our Easter Day with the orphanaged, the Management and all the diners at the Coffee Terrace, Sunway Putra Hotel. Happy Easter.. U go enjoy banyak egg hunting time o~~ Must be fun! Kylie, Happy Easter day to you too. My children enjoyed the hunting and they indeed had a lots of fun. I really want to join egg hunt! But sadly no chance..
Hi Jane! Lovely event to celebrate the Easter. Not only feasting, but other activities as well to entertain the kids. Rose, indeed it is and my children really love the delicious food and fun activities at Sunway Putra Hotel. Candace, egg hunt most for kids. Adults got but very very less. Hope you able to hunt it next year. Pui San, celebrate it next year and have delicious food on that day. Wah so lucky! Your kids must be enjoying themselves tremendously. im sure the kids have tonnes of fun there :D nice Easter celebration for all! Fish, yes they did. Nice activities to celebrate Easter. Miera, thanks. They really enjoyed running here and there to collect the eggs and they are lucky to won it too. The bunny design so cute. Happy belated Easter Day! The egg hunting must be really fun! Such a good activity for kids right! Baz. yes it is. Great activity on Easter Day. face painting! and the food was amazing. The kids having so much fun because they got many candy and chocolate. Hahaha lucky them! egg-citing indeed! i hope the kids had fun! love to see more fun activities like that to spark our life. Bella, food was delicious with lots of candies and chocolates especially on this Easter day. My children love it so much. looks like a very happening and exciting for the kids. Good food too! Kids must had a great time searching easter eggs. 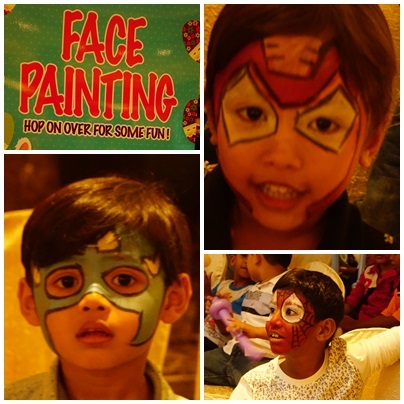 Miriam, Sunway Putra Hotel is a place that children love to dine-in and join the activities. Wow such a nice activities for the whole family on sunday & congrats for winning the hamper. looks like a fun easter with good food and company! great to see mama jane enjoying the many easter celebrations held in nice hotel like this one. The buffet food at Sunway Putra is so tempting and it seem the kid enjoy the Easter programme.